Did you know that Spain’s wine heritage is at least three thousand years old? 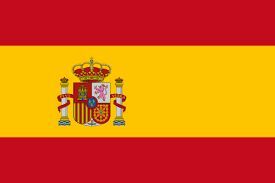 Yet, you may not know much about Spanish wine, except for perhaps Rioja red wines and Spanish Cava. Tempranillo is the best-known grape from Spain, being used to produce red wines from the Rioja region, as well as other regions in Spain. Tempranillo comes from the word “temprano” in Spanish which means early, as it is an early ripening grape. It is said to have a fairly neutral flavour profile so is generally blended with Garnacha and/or Carignan. But as you will see below in my tasting notes, there are quality single varietal Tempranillo wines that you can purchase and enjoy. Spain also produces white wines, such as those made from the Albariño grape, but still are taking time to break into our market. Spain has a long history of producing Sherry, from dry and crisp, to full-bodied, dense and sweet. In North America, many of us still don’t know much about Sherries and how versatile they are to enjoy with food. I attended a Sherry seminar at the Vancouver International Wine Festival 2018 and wrote an article about it, which I encourage you to read. 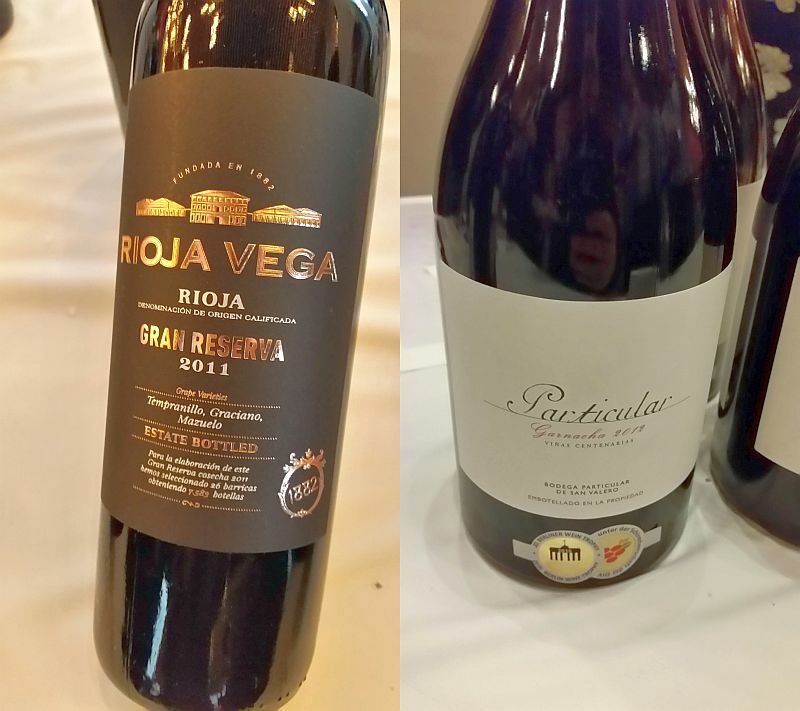 Below are my Spanish wine picks from the Vancouver International Festival 2018. Some of these wines I tasted in the Festival Tasting Room, while others were tasted at various trade events and seminars. I cover sparkling, white, and red wines, so there should be a wine for everyone on the list below. There were many more Spanish wines that I did not have a chance to try so if you really liked a Spanish wine that I didn’t list below, please post it in a comment. Gracias. Arinzano Vinos de Pago Hacienda White DO Pago 2015 – Have you heard of the DO Pago denomination before? If not, it is relatively new, starting in 2003. I’ll elaborate on DO Pago at the end of my wine tasting note. This white wine is made with 100% Chardonnay grapes. It has a light butterscotch nose. Medium plus body, dry. Ripe tropical fruit, butterscotch and some pepperiness. 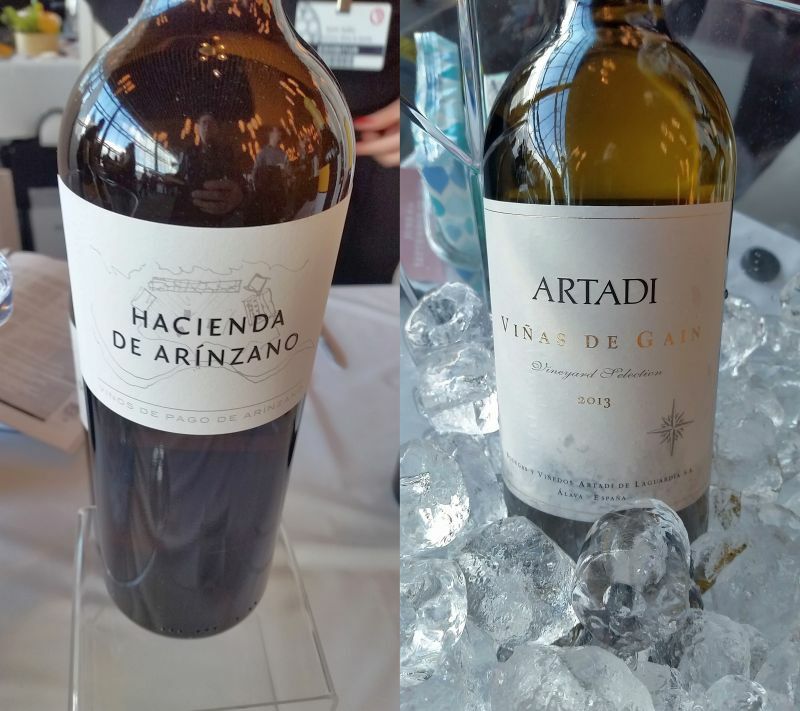 Artadi Vinas de Gain White 2013 – Light stone fruit nose. Mineral, light oak, apples and floral flavours. Tasty. Made from Macabeo grape. Les Vins Bonhomme El Petit Bonhomme Verdejo-Rueda 2016 – Nice melon aroma. Good level of acidity. Flavours of green fruits, guava and honey. Torres Albariño Pazo das Bruxas 2016 ($24.99) – Nice citrus, citrus rind, stone fruit and lees aromas. Dry and round, with higher acidity. More citrus, citrus rind and stone fruit on the palate, with a mineral backdrop. Nice. Juvé & Camps Gran Reserva – Light stone fruit with a hint of mint? on the nose. Higher acidity with a small creamy bubble. Citrus and citrus rind on the palate. A food wine. Parés Balta Cava Brut, Penedes NV – One of my long-standing favourite organic sparkling wines from Spain. This wine has nice lees and citrus on the nose. Dry with medium-sized creamy bubbles. Citrus on the palate. Freixenet Organic Brut Rosado – Nice strawberry nose. Dry, with high acidity. Tart red fruit and strawberry flavours. Very good. 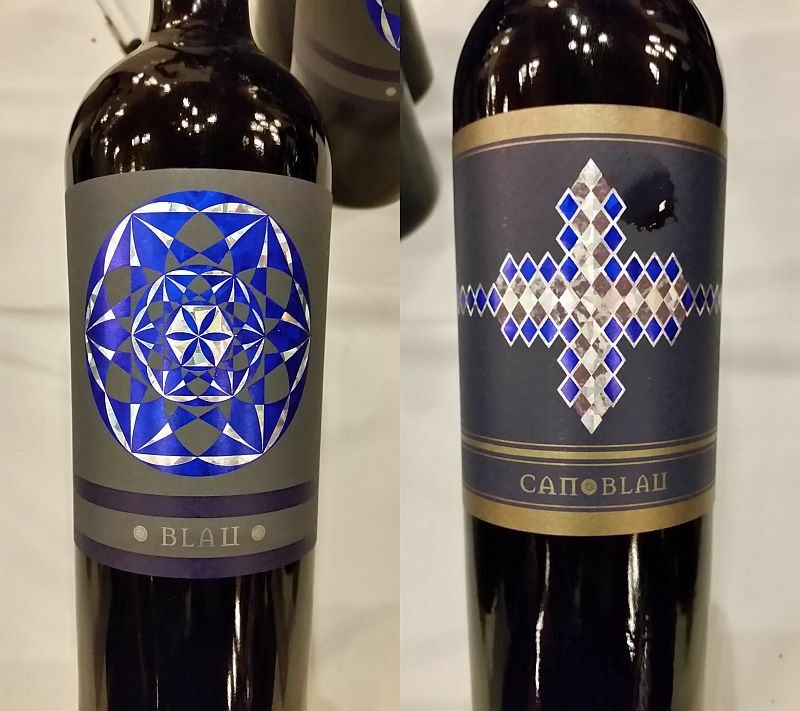 Cellers Blau Carinena – Syrah – Garnacha 2016 – Ripe black cherry nose. Full body, round with flavours of ripe black fruits and firm tannins. A very interesting label. Not sure what it means. Bodegas Juan Gil Blue Label (18 Meses) Monastrell – Cabernet Sauvignon – Syrah 2015 – Wonderful ripe red and black fruit aromas. Fuller bodied, dry, rich and round, with fine tannins. Dark, ripe black fruit flavours and some pepperiness. Parés Balta Silvestris 2016 – A blend of Grenache and Cabernet Sauvignon, this wine is fermented with indigenous yeasts then spends 8 months in new French barrels. This wine has a funky nose, which could be a result of the indigenous yeasts. It is full-bodied with medium acidity and firmer tannins. Flavours of ripe, dark fruit and peppery. This wine can be best described in one word, Authentic. Dominio de Punctum Uno del Mil Tempranillo Petit Verdot 2014 – A biodynamic wine. It has sweet spices and dark fruit aromas. Medium plus body and medium acidity. Flavours of sweet, ripe black fruit and sweet spices. Vanilla on the finish. Tasty. IberWine Monte Hiniesta Tempranillo 2015 ($16.99) – We were told that in the past these wines would have had more oak treatment, and would have been harvested later when the grapes began to get overripe. Now the opposite is true. This wine is opaque ruby in colour. Ripe raspberry and dark fruit, as well as a dustiness on the nose. Fuller bodied, firmer tannins and medium acidity. Ripe red cherries and light leather flavours. Vanilla at the very end, and a grippy finish. Bodegas Alceño Premium 50 Syrah 2015 ($17.49) – This wine does have some Monastrell added to it. This wine is opaque ruby in the glass. Light intensity, ripe plum, and dark fruit aromas. Bigger mouthfeel, and very smooth. Fruity, blackberries, black cherries, and other black fruits, and vanilla. Medium tannins. I’d say this wine is very food friendly. Bodegas San Gregorio Anciano 35 Year Old Vines Garnacha 2015 ($21.99) – Anciano wines first appeared on the shelves in BC and has spread across Canada. I believe this brand is the top-selling red Spanish wine in Canada. This wine has a light intensity nose, with floral and raspberry aromas. Fuller body, round and mouth-filling. Juicy ripe dark fruit, some pepperiness and leather flavours. Medium plus tannic finish. 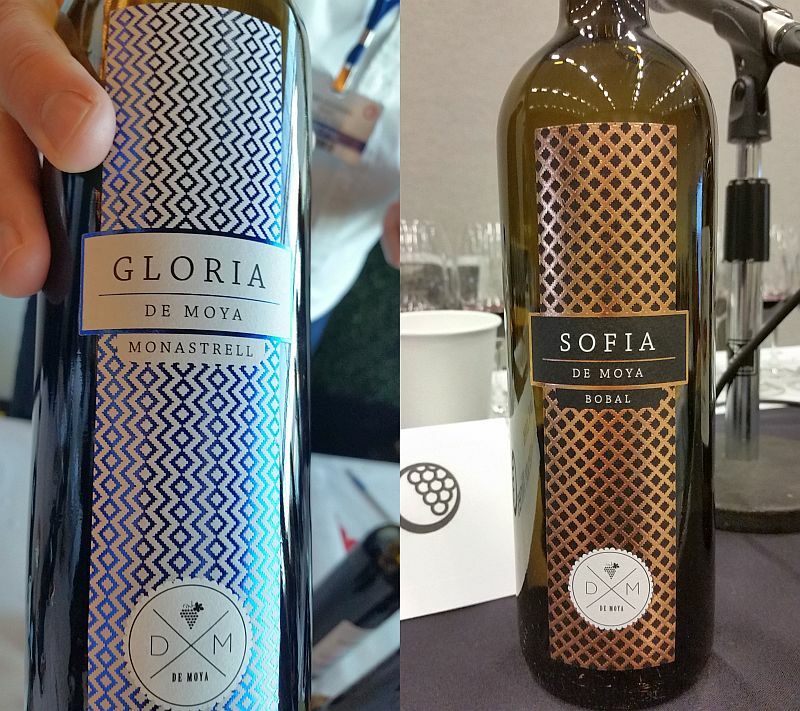 Bodega de Moya Gloria 2015 – This wine is made with the Monastrell grape. It has a meaty nose. Fuller body, dry, with medium acidity, and firm structure. Black fruit flavours and some pepperiness. Bodega de Moya Sofia 2015 ($44.99) – This is a blend of Bobal primarily, with some Cabernet Sauvignon added. Bobal was a new grape for me, and I was very pleasantly surprised by the aromas and flavours of the grape. This wine is opaque garnet in colour. It is very aromatic; ripe red fruits and sweet spices on the nose. Fuller body, dry with tannins picking up mid-palate to the finish. Juicy red fruit flavours up front, with vanilla and chocolate flavours showing up mid-palate. A nice fruit, acidity, tannin balance. A very tasty wine. Arínzano Vinos de Pago La Casona D.O. Pago De Arinzano 2008 ($47.99) – a blend of 75% Tempranillo and 25% Merlot. This wine is medium plus garnet in colour. It has a light, bright red fruit nose. Medium body, lighter mouthfeel with bright acidity. Ripe raspberries and blackberries, together with some pepperiness and leather. Firmer tannins. A refreshing red wine with finesse. ARAEX Grands Spanish Fine Wines Rolland & Galaretta Rioja 2012 ($25.29) – Made from the Tempranillo grape, this wine is a medium plus dull garnet colour. Ripe red cherries, leather, vanilla and sweet spice aromas. Full body, round and mouth-filling feel. Dark ripe red fruits, light sweet spices and oak on the palate. Medium acidity and fine tannins. Marqués de Murrieta Castillo Y Gay Gran Reserva Especial 2007 ($138.99) – This is the largest estate in Rioja. This wine is a blend of Tempranillo and Mazuelo. This wine has a very deep garnet colour. It has a medium intensity nose, showing ripe raspberries, red cherries and a hint of cedar. Fuller body, dry and round with medium tannins. Juicy, ripe red fruits and black pepper on the palate. This wine can still age for many years. Muriel Wines Conde de los Andes Red 2001 ($70) – this is one of the oldest wineries in Rioja. The oldest bottle in their cellar is from 1890! We were told that 2001 was an outstanding vintage for Rioja wines. This wine is medium intensity garnet with some brown tones. Leather on the nose. Medium body, dry with medium acidity and softer tannins. Red fruit and leather on the palate, along with a mineral component. Soft mouthfeel, but a tart finish. Muriel Wines Reserva 2013 – Made from the Tempranillo grape, this wine spends 24 months in French and American oak barrels. It has nice cherry, raspberry and vanilla aromas. Fuller bodied with flavours of ripe red fruits and red cherries. Firmer tannins. Quality! Artadi La Poza de Ballesteros, Tempranillo 2014 ($189.99) – This winery was part of the Rioja DOC until 2015, after which it departed as it felt the appellation was too large and should be sub-divided into more unique appellations. Opaque garnet in colour. Light intensity black fruit and bramble on the nose. Fuller body, round and silky with flavours of dark fruit, and hints of sweet spice, pepper and floral. Medium length with grippy tannins. Pago de Arínzano <= My tasting notes above have a DO page from Arinzano. Only some of these DO Pagos have been situated within a traditional DO region, yet each has been allowed, based upon its excellence and history, to leapfrog the entire system to become a DO Pago. Each DO Pago is allowed to set its own rules, the grapes used, and the methods of viticulture, vinification, and aging, providing a flexibility not previously seen in Spanish wine law. And the number of DO Pagos grows quickly as well, not only from regions such as Navarra or Vinos de Madrid seeking attention and acclaim, but perhaps from more established DOs or even DOCs. Should a DO Pago be designated within a DOC area, the label will read “Vino de Pago Calificado.” Rioja may decide to play along, but there seems to be little interest in the concept in Priorat.